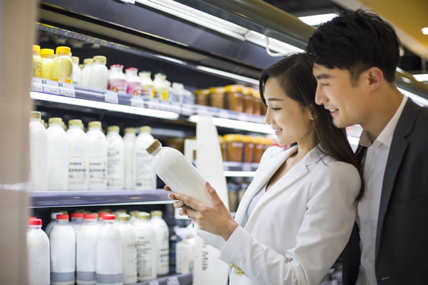 As China’s economic outlook remains turbulent, two bright spots appear for fast-moving consumer goods (FMCG) retailers: focusing on growing share in local/regional markets and the digital realm, according to findings from the second volume of Winning Over Shoppers in China’s ‘New Normal, Volume 2’. The study, the 10th study in the last 4 years conducted in partnership by Kantar Worldpanel and Bain & Company, analyzed shopping behaviors of 40,000 Chinese households and identifies trends to help retailers develop strategies for both offline and online channels during slow growth times. The study focuses on how retailers and e-tailers have been impacted by the FMCG market slowdown to 5.4 percent in 2014 compared with 11.8% percent three years prior. During this slowdown, some stores experienced negative same-store sales growth, prompting retailers to change direction and reconsider expansion plans, even closing some stores. However, many winning retailers took a regional (city/province-based) approach which proved to be a strategy that helped these companies increase market share and outpace their competitors. They also focused on smaller formats like convenience stores, which are growing faster than larger formats. Additionally, while FMCG brick and mortar stores experienced tepid performance, the opposite was true for China’s robust e-commerce landscape, where online sales rose 34 percent in 2014 as e-commerce retailers expanded penetration and as online shoppers dramatically increased their purchasing frequency. The pure-play online retail outlets continue to dominate the market but large omnichannel retailers are now beginning to emerge. Finally, among the most common traits of online shoppers—and one opening up significant opportunities— is their interest in taking advantage of promotions and imports. Promotions result in only 14% of physical store sales. That rate is more than doubled online, where 38% of sales take place during the most popular promotions offerings. Similarly, imports are only 10% of purchases offline, but 40% online. While Chinese retailers need to adapt to slower growth in the near future, the most successful retailers will need to intensify their efforts to develop and implement online-to-offline (O2O) strategies to capture the largest share of the Chinese consumers’ wallet and to drive some of the online success back into their stores. This is already happening, either organically, or through partnerships and acquisitions like Yonghui and JD.com or Walmart and Yihaodian.